Upper Mustang is a Tibetan influenced dry land in the upper mountain region which is also called Hidden Kingdom of Nepal. 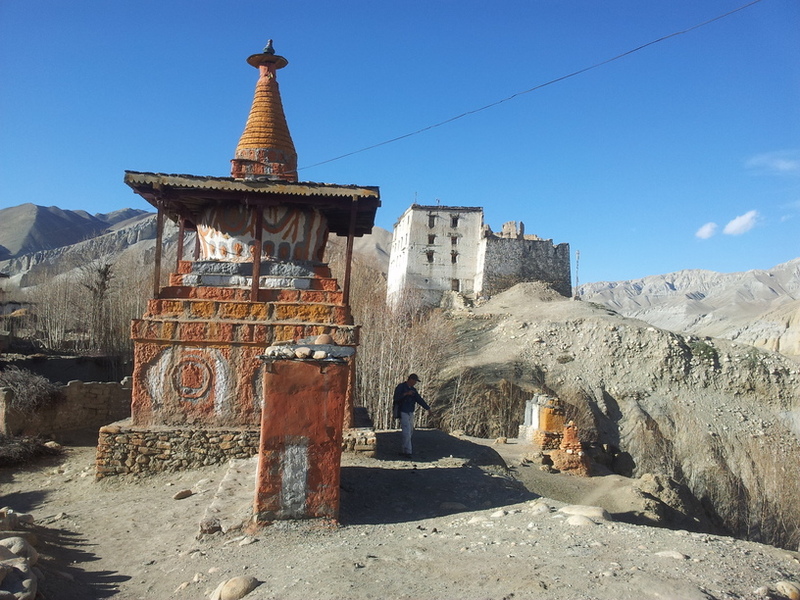 It lies in the north of famous Muktinath temple. 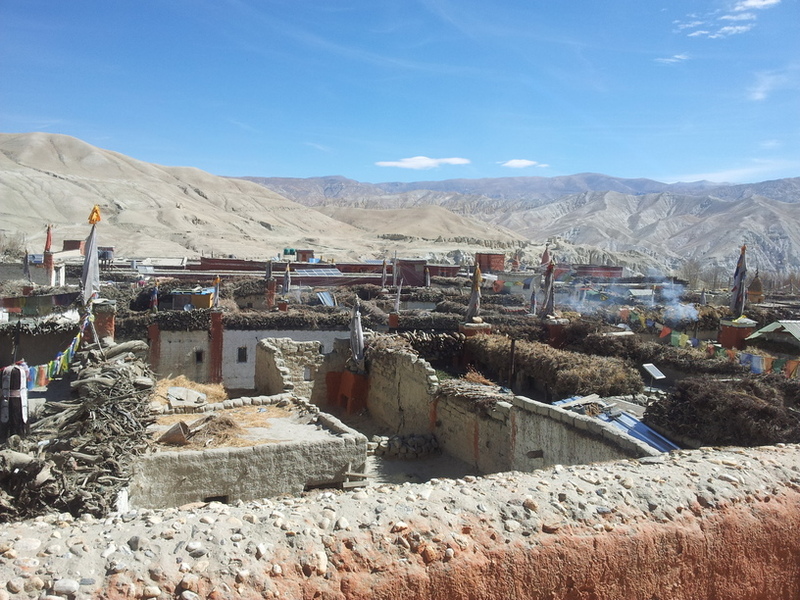 An ancient kingdom, Upper Mustang is given the status of ceremonial kingdom by democratic Nepal. Its capital is Lo Manthan, referred to as a forbidden wall city. 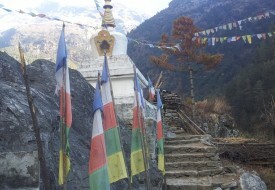 It is one of the restricted areas of Nepal where special trekking permit is required. 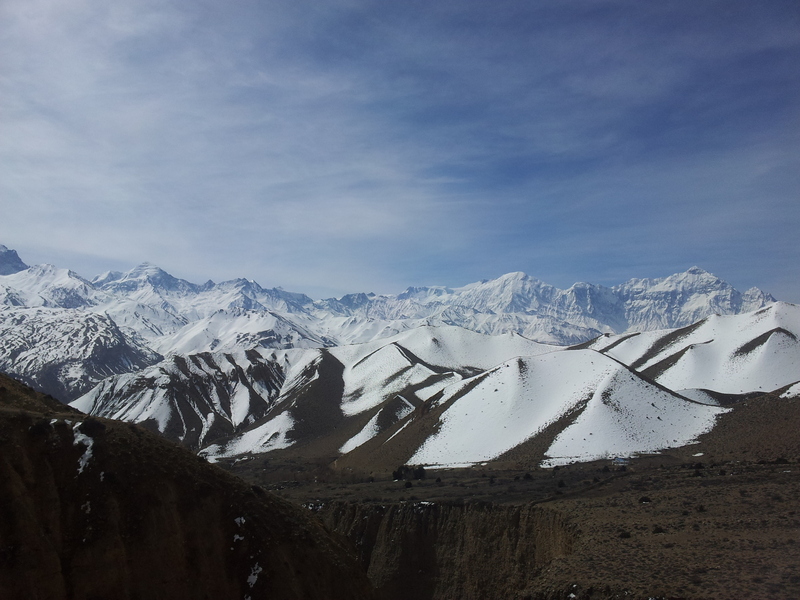 The trek to Upper Mustang (3,730 m.) is all through the arid desert land of the Kaligandaki valley. This land was completely virgin to the Western population till 1992. This region is popular for its beautiful unique landscape, cave and 12th century Monasteries, museum and dominantly Tibetan-origin people and culture. Exotic cliff-hanging cave and painted caves are found in this barren and windy valley. This trip starts from sightseeing in Kathmandu's UNESCO World Heritage sites. The next day is fly/drive to Pokhara from where you can either fly or drive to Jomsom (2,630 m.) and trek to Kagbeni, the border of Upper Mustang. From Lomanthan, you can also visit China Border.